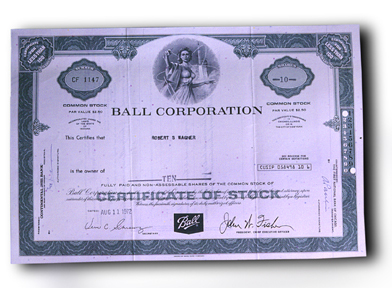 The plan allows shareholders of at least one share to purchase Ball common stock without payment of a brokerage commission or service charge. Participants in this plan may have cash dividends on their shares automatically reinvested and, if they choose, invest by making optional cash payments. Additional information on the Plan is available by writing Computershare, Dividend Reinvestment Service, P. O. Box 505000, Louisville, KY 40233-5000 or by calling (800) 446-2617.